For movie/day number 2, there was no way I was going to wait until literally the last minute of the day to get my post up. Nope - today I planned ahead. I recently received an Amazon gift card for participating in my cousin’s wedding - and by recently I mean I got the card on Friday. The timing couldn’t have been better since I use Amazon to rent newer movies that I can’t find on Netflix/Hulu/HBO/Showtime/Crackle. I’m not sure an eight year old movie counts as new, but it definitely counts as a movie I’ve been meaning to see for years. I saw the first X-Men right after it came out. I saw X2…Last year at some time. All these newer X-Men movies I’ve been dying to see, but if I’m going to watch a movie series, I am going to watch the entire movie series. So get used to seeing a few more X-Men movies on here in the upcoming days. 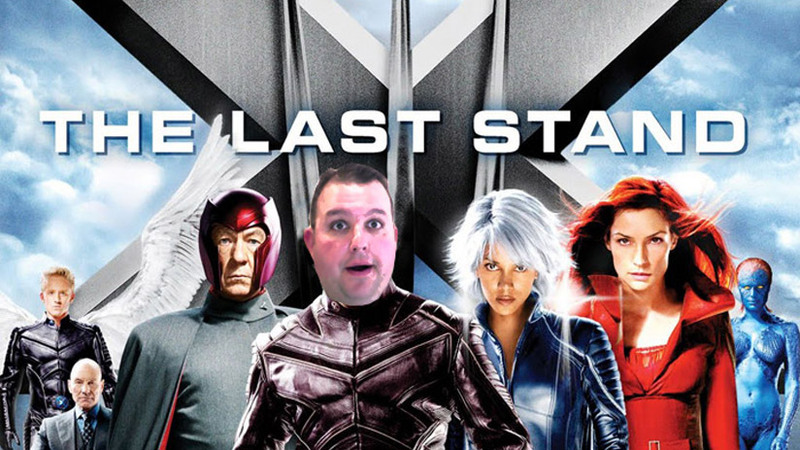 X-Men: The Last Stand has always been the one that people seemed to not really like. Everybody loved X2, but people had lots of problems with this one. This may be an unintelligent, unpopular thought, but I am not sure I liked either one more or less than the other. I enjoyed them both. I do think X2 is a better movie, but I still enjoyed this one. I didn’t like all the decisions that were made in the story, but I think the ending left open enough for me - especially since the newest X-Men movie just came out. I think I read that things happen in future movies that retcon some of the stuff we see here, so I am not sure how much of this movie is referenced in future installments, but I’m not about to watch any of the new movies and be like “wait who is that?” when I’m supposed to know. Brett Ratner is a capable director, even though he gives me the douche chills. The guy does make technically sound films, but I did find myself cursing “Ratner” anytime there was something I thought was dumb. Even if it wasn’t his call/fault. I’m 2 days into June and 2 movies into the 30 in 30. I am looking forward to watching the next 3 X-Men movies in the next couple days. Not sure if I’ll get to the theater for Days of Future Past, but hopefully I can talk someone into going.